A worldwide, increasing trend of intense precipitation events under the influence of global warming has been indicated by scientists, exerting devastating effects on human beings. Beijing, as one of the largest cities in the world, is highly vulnerable to increasingly frequent and intense precipitation events. A torrential rain event with a record-breaking amount of 460 mm in 18 hours hit the city on 21 July 2012, leading to severe disasters. Scientists found that short-duration rainfall (SDR) events (a rainfall event with a duration of 6 hours or less) dominate the total rainfall amount over Beijing in summers. Thus, accurate predictions of SDR events are of great significance but remain a considerable challenge for both scientists and forecasters until now. Scientists have taken advantage of lightning to predict approaching rainstorms and some warning approaches for severe weathers caused by the rainstorms (e.g., tornadoes, hail and wind gusts) have also been developed. On the contrary, there are few potent predictions or warning approaches available for the rainfall caused by the rainstorms — especially SDR events. Can SDR events be predicted by lightning? 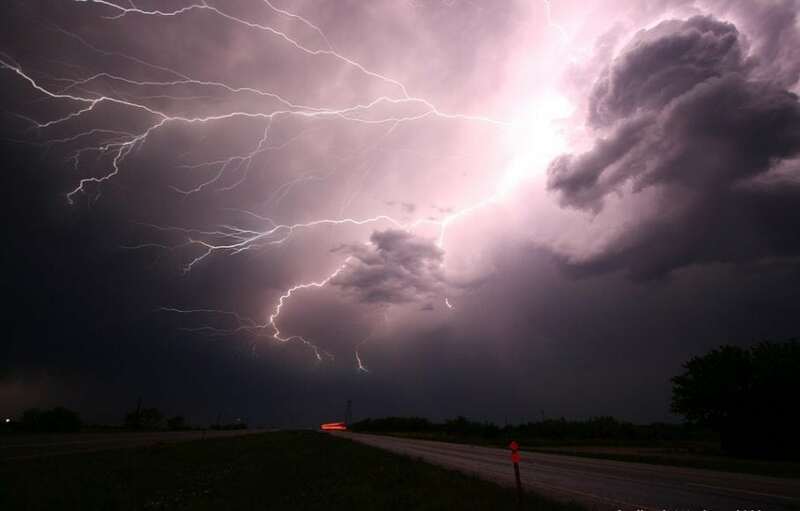 After investigating the relationship between lightning and precipitation over Beijing during warm seasons, scientists from the Institute of Atmospheric Physics, Chinese Academy of Sciences (Fan Wu and Xiaopeng Cui) and their co-author (Da-lin Zhang, University of Maryland) developed a lightning-based nowcast-warning approach for SDR events, which were recently published in Atmospheric Research. Their new approach utilizes sharp increasing rates of lightning flashes (lightning jumps) to provide early warnings for SDR events. In the approach, an innovational notion, rainfall jump with a rapid rise of rainfall rate in SDR events, were proposed and selected as the warning target. The nowcast-warning approach proposed in their study was designed mainly for those SDR events with moderate and intense rainfall rates, and graded nowcast-warning models were developed based on the approach. The models issue different signals based on the intensity of the lightning jump to improve the warning performance, with low-grade warning signals to capture as many SDR events as possible and high-grade ones to improve the warning reliability. To verify the models’ performance, a total of 870 moderate and 452 intense SDR events over the Beijing Metropolitan Region (BMR) were selected. The models could provide successful early warnings for 67.8% (87.0%) of the moderate (intense) SDR events, with false alarms of 27.0% (22.2%). Especially, a longer average warning time for the intense SDR events (52.0 minutes) than the moderate ones (36.7 minutes) could be provided by the models. The models were further validated using three typical heavy-rain-producing storms which were independent of those mentioned above over the BMR. The results showed that the models present an encouraging warning capability for SDR events caused by rainstorms from regional to local scales. “Our approach provides a new perspective on predicting SDR events,” says Prof. Xiaopeng Cui, the corresponding author of the study. These findings are described in the article entitled A lightning-based nowcast-warning approach for short-duration rainfall events: Development and testing over Beijing during the warm seasons of 2006-2007, recently published in the journal Atmospheric Research. This work was conducted by Fan Wu and Xiaopeng Cui from the Institute of Atmospheric Physics, Chinese Academy of Sciences, and Da-Lin Zhang from the University of Maryland. Xiaopeng Cui is a professor in the Laboratory of Cloud-precipitation physics and Severe storms (LACS), Institute of Atmospheric Physics, Chinese Academy of Sciences, Beijing, China P.R. His research interests include typhoons (genesis, track&intensification, landfall and distributions of associated wind and rainfall) and torrential rainfall.